Waterbury is known as "Vermont's Recreational Crossroads". Four major ski areas are located within a 15 mile radius of Waterbury. Stowe and Sugarbush ski areas are likely the most prominent with many sought-after amenities. Mad River Glen tries to maintain skiing “au naturale” with an ambiance of skiing in the past. Bolton Valley caters to families with affordable rates. Overlooking the picturesque Waterbury Valley are majestic Mt. Mansfield and Camel’s Hump, two of Vermont’s highest peaks. The Worcester Range offers some of the best hiking around. Not to be overlooked is Waterbury Center State Park, considered one of the best state parks in Vermont. The reservoir provides numerous water activities. The scenery is breathtaking! Some vantage points in Waterbury Center offer 360 degree views. Nearly 50% of Waterbury’s land mass is in conservation. If you are a golfer, visit the Country Club of Vermont, considered one of the best golf courses in Vermont and OH THE VISTAS! Besides its natural beauty, Waterbury is listed in the National Register of Historic Places, with a rich history dating back to its charter in 1763. Revitalizing Waterbury is an organization that has spearheaded the restoration and vitality of downtown Waterbury, starting with the renovation of the 1875 railroad building. Presently Waterbury is home to Green Mountain Coffee Roasters, Ben & Jerry’s, a quaint historic village and award-winning culinary choices such as Hen of the Wood and Michael’s on the Hill. In the past several decades, Waterbury/Waterbury Center has grown considerably but it has still maintained its rural character. Most of the young professional families have relocated to the Waterbury area for its quality of life - good schools and recreation. There are various real estate offerings in the Waterbury area ranging from affordable to luxury as well as land parcels on which to build your dream home, and all within a 25 minute commute to Burlington (largest city in Vermont) and 15 minute commute to Montpelier (State capital). 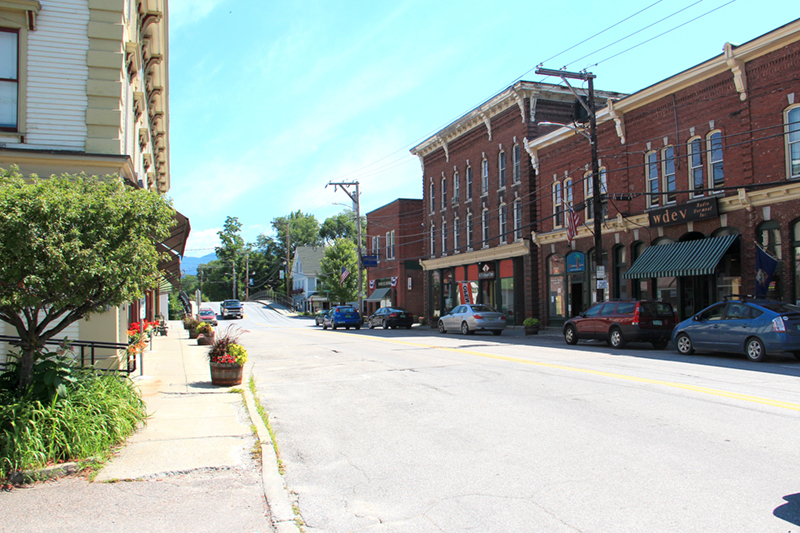 The Burlington area is home to large employers such as IBM, Burton Snowboards and Fletcher Allen Health Care, not to mention universities such as UVM, Saint Michael’s College and Champlain College. Additionally, in Montpelier are Central Vermont Medical Center, National Life Group and BlueCross BlueShield. Waterbury’s central geographic location makes it ideal for commuting to the “hubs” of employment and it is only 25 minutes to Burlington International Airport (BTV) for business and vacation travelers.